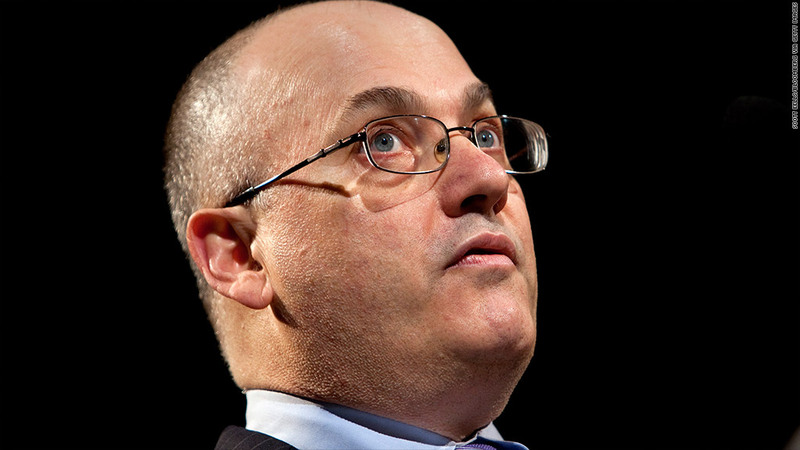 SAC Capital, the hedge fund firm run by billionaire Steve Cohen, officially pleaded guilty Friday to criminal insider trading charges. U.S. District Judge Laura Taylor Swain deferred her ruling on whether to accept the plea until March 14, saying she wanted time to review case documents and ensure the penalties are appropriate. Prosecutors announced earlier this week that SAC had agreed to pay $1.8 billion to resolve criminal charges and a related civil case. The firm also agreed to close its investment advisory business, meaning it would no longer manage money for outside investors. "Subject to the Court's acceptance, today four SAC Capital companies pled guilty to serious federal crimes that undermined the integrity of our securities markets," Manhattan U.S. Attorney Preet Bharara said in a statement. The plea agreement would still allow SAC to operate as a "family office," with Cohen and others at SAC investing their own money. The civil portion of the settlement was approved Wednesday. "We're determined to learn from this and emerge as a different firm," SAC lawyer Peter Nussbaum said at Friday's hearing. The guilty plea follows a multi-year effort that FBI Special Agent in Charge April Brooks called "the largest insider trading investigation in history." The probe has already yielded charges against eight current or former SAC employees, six of whom have pleaded guilty. The two others -- Mathew Martoma and Michael Steinberg -- are awaiting trial. Government lawyers asserted at Friday's hearing that they could prove additional SAC employees beyond those eight had also engaged in insider trading. Cohen himself has not been charged criminally. The Securities and Exchange Commission announced civil charges against him in July, accusing him of failing to supervise employees who engaged in insider trading, in a case that is still pending. Cohen is one of the country's most famous hedge fund managers, with a net worth estimated at $9.4 billion in September. Prosecutors accused SAC in their indictment of fostering a culture of insider trading "that was substantial, pervasive, and on a scale without known precedent." The indictment excerpts a number of e-mails and instant messages from SAC traders suggesting they had illicit information from corporate insiders. "We take responsibility for the handful of men who pleaded guilty and whose conduct gave rise to SAC's liability," the firm said in a statement Monday. "The tiny fraction of wrongdoers does not represent the 3,000 honest men and women who have worked at the firm during the past 21 years. Even one person crossing the line into illegal behavior is too many and we greatly regret this conduct occurred." Outside investors have already been fleeing SAC in droves this year as its legal problems have mounted. SAC managed $15 billion as of Jan. 1, but that total has since dropped to roughly $9 billion, nearly all of which is from Cohen and his employees. In March, SAC agreed to pay the SEC roughly $616 million to settle civil charges related to alleged insider trading by employees. That payment will be credited to the amount owed in this week's plea agreement, meaning the firm will pay an additional $1.2 billion. The decision to charge SAC criminally was a significant step. Prosecutors have generally been reluctant to indict companies since accounting firm Arthur Andersen collapsed a decade ago -- taking down nearly 28,000 jobs -- after being convicted in connection with the Enron scandal.